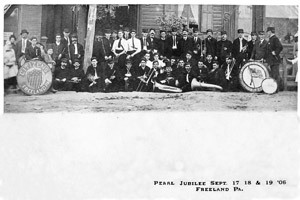 This Citizens Band is shown with another band during the 1906 Pearl Jubilee. The second band is St. Ann's Band, Drifton. 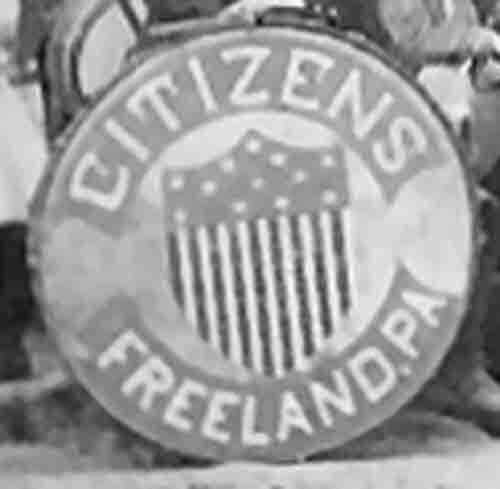 Photo courtesy of Christina Humphreys. 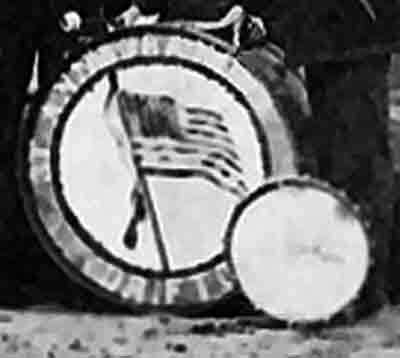 The digital photo that I received was not of a high enough resolution to be able to read this drum clearly. Charlie Gallagher has contributed another photo of St. Ann's Band, Drifton from 1910 (on the St. Ann's Band page), the drum matching the one in this photo.